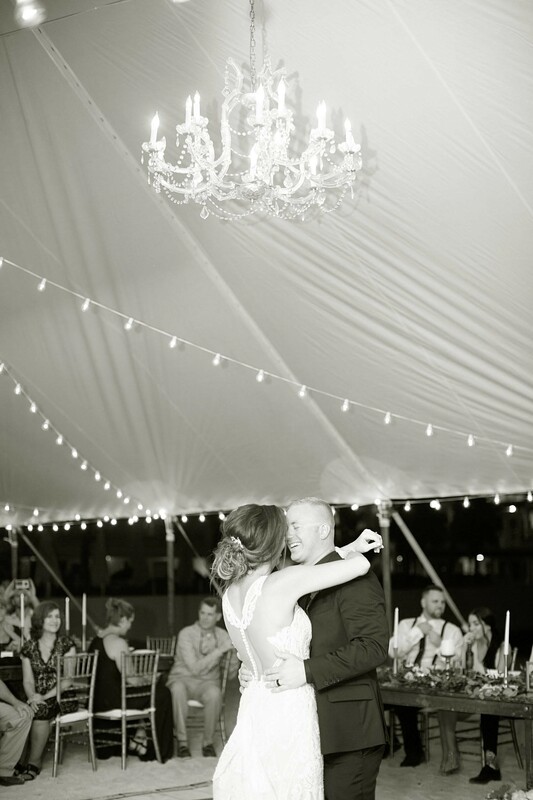 How to Plan a Stress-Free Wedding in Key West! Planning a wedding can be chaotic on its own but planning a destination wedding adds another level of stress to the equation. If you’ve been reading our blogs you know we love to share the inside scoop on the best of Key West and today we are sharing the best tips and advice on how to plan a destination wedding without stressing out. We had a chance to sit down with someone who knows the ins and outs of wedding planning in Key West. Say hello to JenaRose McCall, Complex Catering Sales Manager. 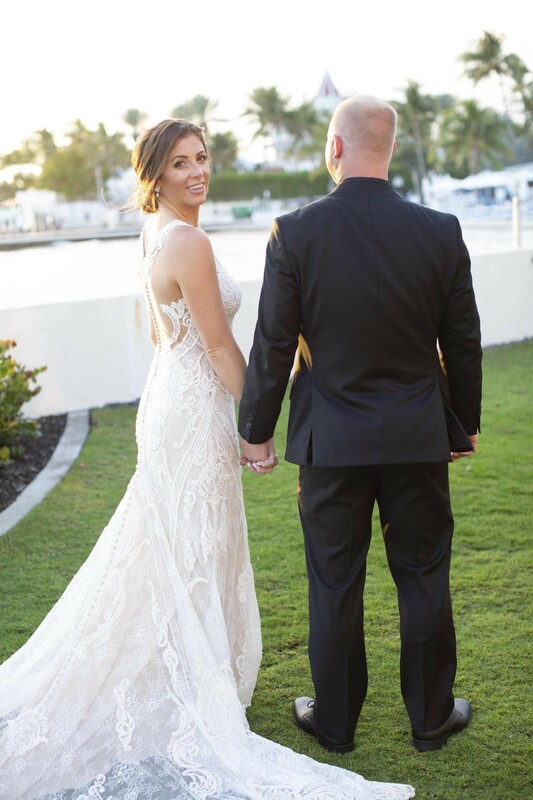 JenaRose is the go-to person (and the first person) you will talk to at our Key West Resort if you are planning a wedding in paradise. She’ll gather all your information and help you with special events and catering on site. She’s also an expert on destination wedding planning, and that includes planning her own destination wedding right here at Southernmost Beach Resort. Q. One of the first questions we had to ask is why have your wedding where you work and why did you choose to have your wedding at Southernmost Beach Resort? A. I’ve been working with weddings at the resort for over 10 years, so I know the property, service and the experience. The property is absolutely beautiful, and we’ve got the only private beach space that you can get on the island with uninterrupted views. No large vessel or ship is disrupting the stunning vision of the sea and sky. Exceptional service was also important to me, and I know the high standards and service the resort delivers. I knew my wedding guests would be taken care of which was another reason I chose to have it here. To be honest, there really is no other place I’d even think of as it really is the best wedding location in Key West. Q. How many guests were at your wedding? A. We had 70 guests, and it was a destination wedding for all of my friends and family. Q. What are some tips for the bride in the early stages of wedding planning? A. Let your guests know about the destination wedding as early on as you can as they have to prepare for the big day as well. Tip: If you are having a beach wedding inform your guests of the venue and it also helps to include how to dress for a beach wedding. In Key West, we call it island casual and yes, flip flops are required. Dress it up or dress it down, it’s your wedding just make sure to inform the guests on what to wear. Three of the most popular off-site Key West wedding venues include Hemingway Home and Museum, Truman Little White House and Audubon House. Q. How do you welcome your guests to a destination they’ve never been to? A. Remember your guests have traveled a long way to celebrate with you. Do something special and thank them for coming by hosting a welcome party at the resort or brunch at an off-site location in town. Q. Where is the perfect wedding venue in Key West and why? A. Hands down, it really is Southernmost Beach Resort and here’s why: they have multiple venues to choose from. For example, a welcome party could be held at the Tranquility Veranda (one of the three pools on-site,) the ceremony can be held at the intimate oceanfront beach, and the wedding reception takes place just steps away on South Beach, catered by Southernmost Beach Cafe. It’s nice to mix it up but also have it all happening within the resort. Three different events at different venues all happening at one resort! Q. Do you have any tips on how to keep your guests occupied when visiting a new travel destination? A. Find a hotel/resort that is in a great location with great amenities and activities. One of the reasons I wanted to have my wedding at Southernmost was because it offered so much more than just a place to stay in paradise. There are three pools, 2 beach venues, pool bars, beach bar, and restaurant and on-site activities to keep the guests occupied from morning to night while I was busy getting ready for the big day. The location is perfect (remember, location, location, location) because it’s on the quieter end of Duval and in walking distance to the museums, attractions, nightlife, restaurants, and cafes. My guests could walk or bike around the island and discover what island life is all about. We also put together group activities that included an event everyone could take part in. Some of the activities wedding parties can set up for their guests include Tournament Hour at the Sand Bar ~ Ping Pong, Foosball, Wall Hooky, Corn Hole ~ Our activities director can help put something special together – Team Bride vs. Team Groom. Q. Do it yourself or hire a wedding planner? A. My number one wedding tip to anyone planning a destination wedding is Hire a Wedding Planner. Whether you hire them full-service or day of, finding the right planner as soon as you have your date and venue is my number one recommendation. Having someone local to answer your questions guide you along the way is highly recommended. Q. How does someone find the right wedding vendors and planners in Key West? A. Most hotels have a vendor list so the brides will get that information from the hotel representative. Southernmost Beach Resort has a preferred Key West Wedding vendors list including planners, DJ’s, Music, Florists, Bakers, Rental Companies, Hair & Makeup, Photography and Videography, Specialty Rentals and more. (It’s the same list that JenaRose used for her wedding, so we know it’s tested and true.) Knowing you’ve got a local wedding planner working with you is a must do for a stress-free day. Q. Any final tips for the bride on her wedding day? A. Unplug, relax and have fun! The wedding planner has everything under control, and your guests are enjoying the resort until ceremony time. This is your “me time” before I do! Q. Anything else you would like to share with our readers about a destination wedding in Key West? A. My guests experienced the best of Key West! I’m not saying this because I work here, I’m saying it because I believe it and I experienced it. No other place in Key West can deliver the exceptional service, the setting and high standards everyone deserves.